Free Daily Analysis | EURUSD : GOT THE NEWS BLUES? G’day Surfers – Those Damned Yankees stole our entry!!! Try as we might, there was no entry for us yesterday; thanks mainly to news out of the USA. 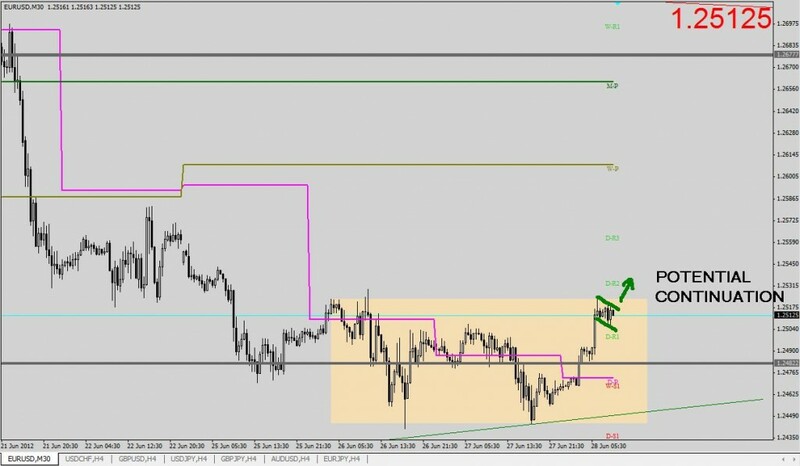 Our analysis told us the most probable consolidation breakout would be Bullish and we had three separate Surfing The Pips setups waiting patiently at our Hotspot, for the market to come our way. Due mainly to more good Economic data Stateside, our lures were largely ignored as EURO succumbed to the increased demand for USD. At day’s end, we removed the snares keeping our bait (capital) in safe storage. In the wash up, EURO was devalued by 63pips against the greenback before rallying late to finish the day off by 35. A relatively lively Asia Session this Thursday has produced the breakout we sought – taking EURO well above 1.2500. This bounce, off a freshly baked and tasty double bottom may well be the first steps of the lonely sheep (Daily Pivot) of yesterday; returning to the flock (Weekly & Monthly Pivot). Of the now 135 pip stretch between Daily & Weekly, approximately 1/3 has been covered by Asia Session. Price Action is now consolidating between 1.2500 & 1.2510 and has left us void of any lines with which to play. 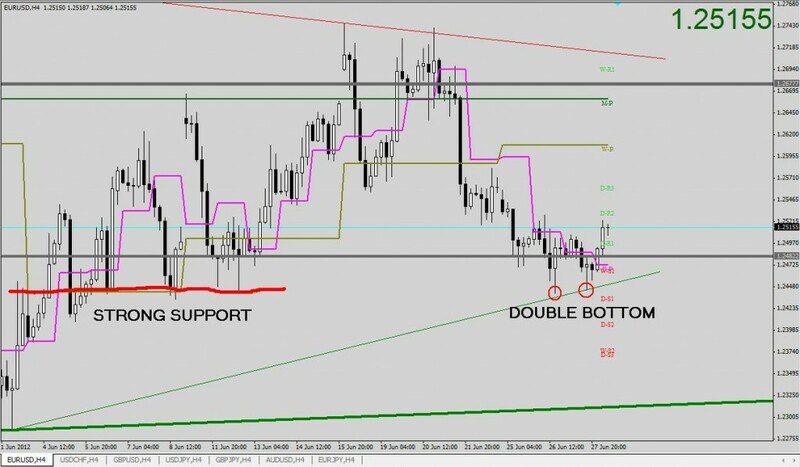 We will be relying on Price Action to remedy that situation and provide us with the goods. So again we find ourselves in a Technical dilemma – is the Bearish current strong enough to pull the stranded sheep further from the flock? Apart from our Technical indecision, we also will be contending with the latest ECOSUMMIT which has the potential to move the market at any moment of the day. If I have a plan, I confess it’s well disguised because I can’t yet find it! In reality, this cross is moving sideways this week which indicates it’s waiting……..maybe for today’s Summit to deliver some good news?? It’s a wait game – nothing new there.